SALAM : A female Lyft driver navigates the night shift in New York City while waiting to hear life-or-death news from her family in Syria. 194. 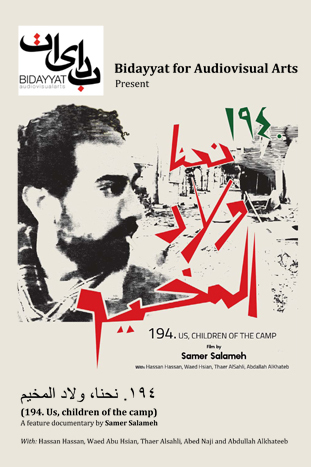 US, CHILDREN OF THE CAMP : The film follows the director’s journey as he is forced to join the Palestinian Liberation Army in Syria only a month before the start of the Syrian uprising. With the escalation of violence and the increasing attacks by the Syrian regime army on the camp, the director and his friends attempt to document the hopes, struggles, departures and loss they experience.